Home > News > What's on this year? With 2019 well under way and the events calendar filling up fast, we are looking forward to exhibiting at some excellent shows in wonderful locations. 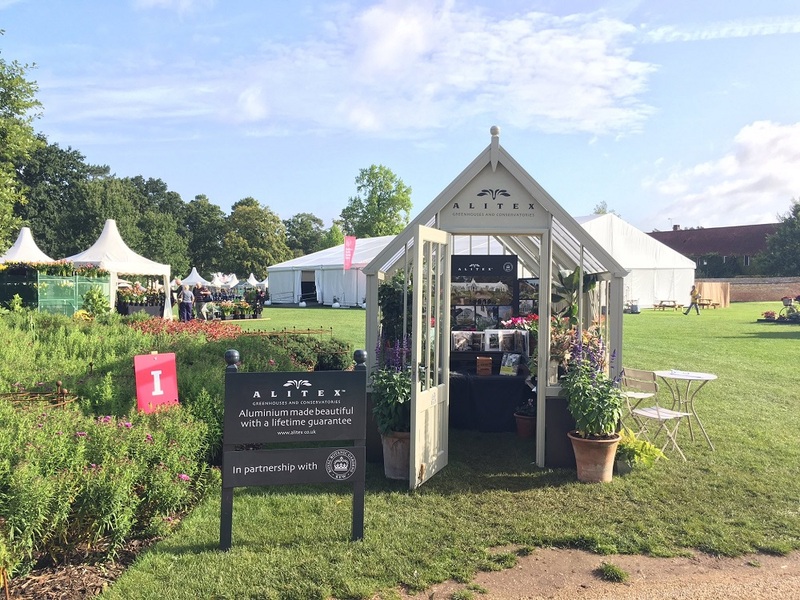 We will of course be returning to some of the horticultural seasonal highlights including: RHS Hampton Court Garden Festival, RHS Tatton Flower Show, and RHS Wisley Flower Show - as well as taking our greenhouses to some new events this year. The spring months will bring a multitude of shows that promise to give you lots of garden and greenhouse inspiration. The first event of the year we will be attending is a new and exciting show for us at the RHS Spring Launch and Orchid Show. Held at the RHS Horticultural Halls in London, this event is the perfect way to get some floral inspiration. The beginning of May we will be taking the traditional panel base greenhouse to one of the biggest equestrian shows of the year at Badminton Horse Trials. It is set to be a wonderful event and the perfect location for the panel base, as it is will be its first appearance of the show season. Our mobile greenhouse will attend its first event with the RHS Malvern Spring Festival. Flowers, crafts and food; this four day event is set in the beautiful Malvern Hills. The most anticipated week of the horticultural season is then upon us. We will be returning to RHS Chelsea Flower Show. Come visit us on our stand on Main Avenue with two beautiful structures. Where better to experience for yourself what it's like to grow under an Alitex and further develop or inspire your project, then at the heart of all things relating to gardens? The calendar also includes some non-horticultural events that you might not expect to see us at such as: The Game Fair and Goodwood Revival. Although these shows are not centred on gardening endeavours, the atmospheres they create and diverse attendees they attract make them spectacular shows to be a part of. We round up the events season with our Annual Lecture. Held here at our offices in Hampshire, this event is a wonderful evening that brings together friends and partners of Alitex. Last year we invited guest speaker Ann - Marie Powell who led a whimsical and insightful talk on Confessions of a Garden Designer. Stay tuned with our events page, we will be announcing this year's guest speaker soon. If you can't attend any of these events why not join us at our offices in Hampshire for one of our Open Mornings. We hold 5 throughout the year, providing an excellent chance for you to speak one-on-one with our sales designers. We also offer tours of our factory. This allows you to see the detailed manufacturing processes that go into designing our great greenhouses.